Whether you are simply making your elderly father’s home a little safer, or if you plan on moving your parents in because then don’t need to be living along anymore, a few changes in the house need to take place. While every family is unique, most needs of our aging parents are the same. Let’s see how we can make some small improvements that have big impact on their safety and comfort. - Since it isn’t always possible to add a full “in-law” suite to your home, you may decide to give Mom and Dad the master suite, so they can have their own private bathroom. - Change out the door knobs to lever-type handles for easier opening for those with arthritis or other small motor skill issues. - Install grab-bars to the shower, bath and toilet walls, for those who need assistance in moving around in the bathroom. This will offer some independence for the elderly person who hates to ask for assistance. - For the wheelchair-bound parent, or one who needs to use a walker, consider adding an accessibility ramp to your most-used entry. Costs vary on this job, but a contractor that specializes in the construction of a ramp will take care of this job swiftly and efficiently. - Widening doorways is something you may need to do if you anticipate wheelchair use in your parent’s future. Enlarging them to 36” is the general width for ease of use. - The type of flooring in the home can impact whether it’s a fall risk for someone who has trouble getting around. Consider installing low-pile carpeting, but in areas of hard flooring, where carpet isn’t necessarily an option, secure low-pile area rugs with double-sided carpet tape, or no-slip rug padding. - Remodeling the bathroom may be an option, and a walk-in or wheelchair-accessible shower with a “curbless” entry is a safe choice. A built-in shower seat and adjustable showerhead are added benefits. - Changing faucets in the kitchen and bath with a single-lever handle for ease of use, or even a faucet with a motion sensor or touch off-and-on upgrade. - Electrical issues to consider: light switches that can be pressed for turning off and on, electrical outlets placed higher than the standard height, and adding more lighting. - Privacy may be an issue for a still-independent older person, especially if there are children in the home. Providing a sound-proof door will cut down on noise when Mom wants to sleep in, or if Dad would like to watch the game without interruption. 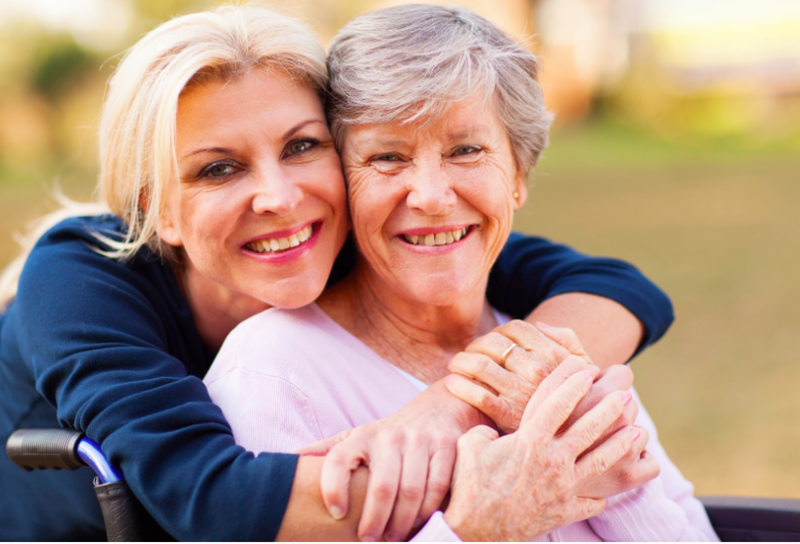 Having your parents or grandparents move in is life-changing for everyone in the family home. AARP offers a guide to multi-generational living, with questions to ask yourself as well as your aging parents before you finalize your decision. Don’t look at this stage of life as a challenge, but rather a way to be a watchful eye over your parents while they maintain their sense of independence and quality of life.